Product code: ES2490 Categories: Sold Items, Sold Jewellery. Aronson was one of Australia’s most prolific jewellers and here is a gorgeous antique pearl brooch made by Aronson at the start of the 20th Century. With a wonderful Art Nouveau style to it, it is set with 39 seed pearls. However it is not just the pearls as it is also the attention to the sizes of the pearls as looking closely will reveal how they graduate in size so incredibly. The way they change size so gradually in a brooch this size is a real testament to the quality of the jewellery made by Aronson. From left to right the brooch measures 25.3mm across by 26mm and is the perfect size to wear day or night and always look great. 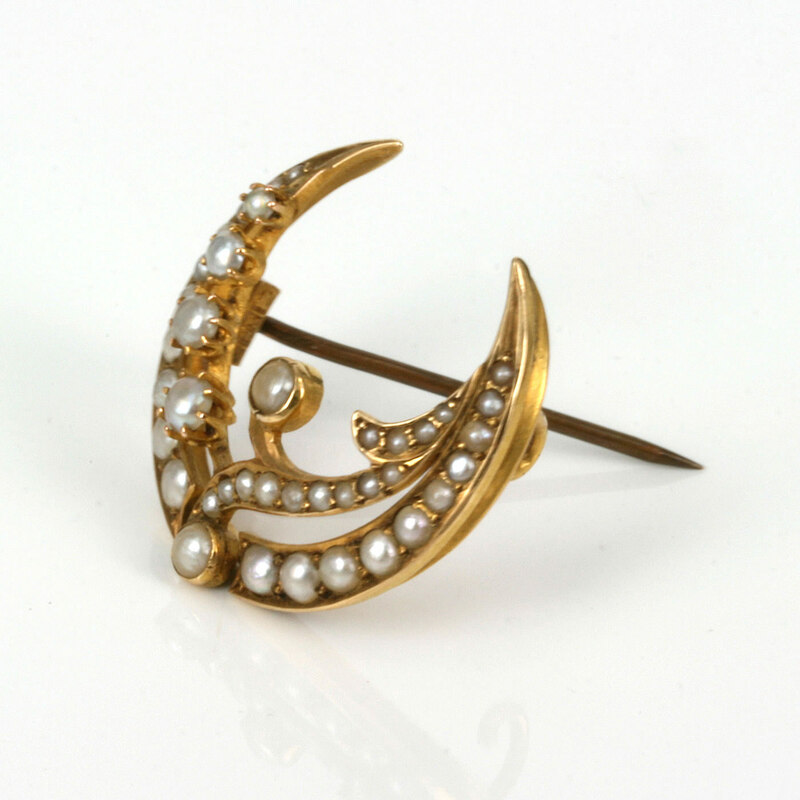 Made in 15ct yellow gold which compliments the pearls so well, 15ct was used up until 1932. This is a wonderful early Australian brooch that will always get the attention and admiration it deserves.